Say what you want about New Zealanders, but they’re a resourceful bunch. Take Kiwi Ivan Sentch for example. Desperate to own a classic Aston Martin DB4, but not having a lazy $700,000 to buy one, Ivan isprinting one. Yes, armed with $500 3D printer, Ivan, who is a programmer from Auckland, is painstakingly assembling a DB4 replica. So far he’s printed about 72 percent of the parts needed at a cost of around $2000. This isn’t his first project, either. 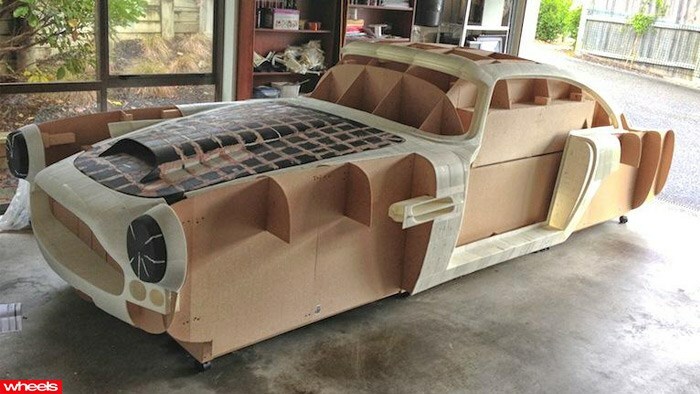 Ivan’s last project was a Ferrari 250 GTO replica. Two storied names unite; stunning opulence and excessive torque result. New Aston Martin crossover to be called Varekai?